When not writing for War History Online, my working life revolves around the projects of historian Andy Robertshaw. Often, Andy will call me up to tell me about some exciting archaeological discovery or trench reconstruction that I must come down and film. Over the course of his career, Andy has gone from teacher to army lecturer, museum curator to military advisor for Steven Spielberg. With so many projects going on at any one time, you’d be forgiven for forgetting some of his work from a few years ago. 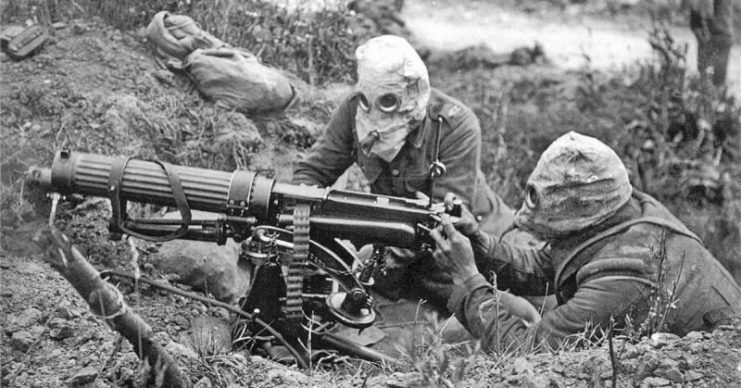 The Platoon: An Infantryman On The Western Front 1916-18 is a fascinating read. Written by British war veteran Joseph Johns Steward in the inter-war years, the story details his incredible experience using a beautiful blend of truth and fiction. Andy discovered the original manuscript completely by chance after it was found at the bottom of a laundry basket and saved from destruction. 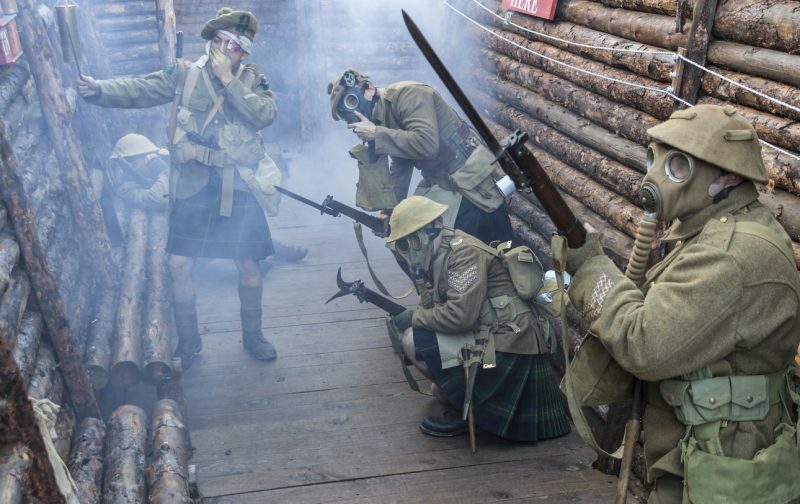 It was his questioning of this event which led Andy to learn something few people knew about the Battle of the Somme. 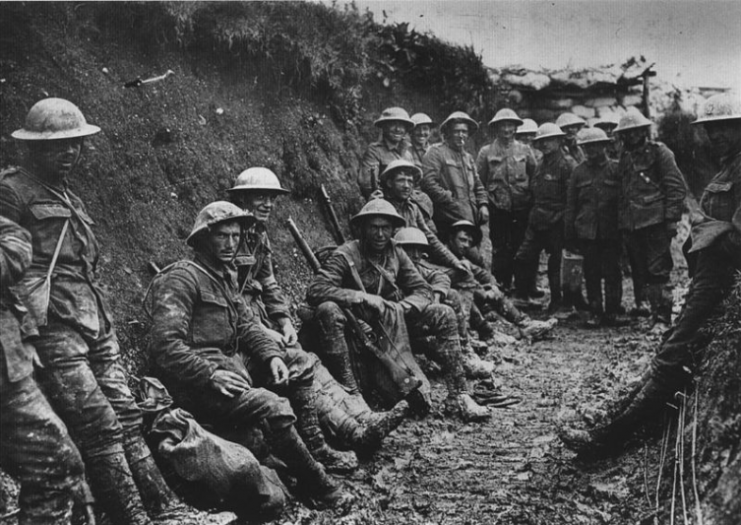 A ration party of the Royal Irish Rifles in a communication trench during the Battle of the Somme. 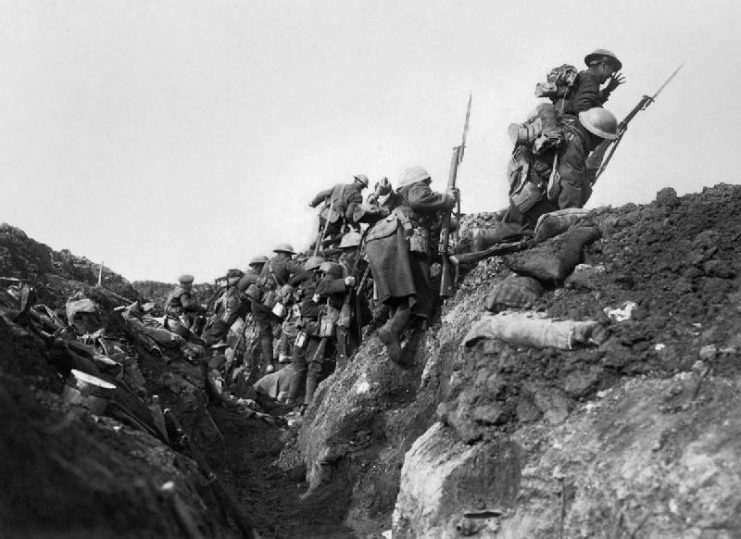 The date is believed to be 1 July 1916, the first day on the Somme, and the unit is possibly the 1st Battalion, Royal Irish Rifles (25th Brigade, 8th Division). This enlightenment proved to be not the only interesting revelation in The Platoon. The story goes on to follow Steward’s unit through the Battle of Arras, Cambrai and the use of tanks, to the last 100 days and victory. Steward’s gritty portrayal of army life for the average private soldier in the First World War provides answers to questions often left unanswered by the educated officers-turned-authors class of the period. In order to sit down and write a cohesive story, Steward needed to separate himself somewhat from his experiences. “He uses some fictional characters and names for coloring,” Andy explained to me. Joseph Johns Steward was a clerk in the motor trade during the early war years. On January 27 the Military Service Act was introduced in Britain, obliging all fit and unmarried or widowed men (without dependent children) between the ages of 19 and 41 to enlist. Steward was among them. He trained for 6 months before his baptism of fire on the Somme front on one of the deadliest days in British military history. Andy enlisted the help of military historian and friend Steve Roberts. Along with author Alastair Fraser, the pair had previously worked together on a book entitled Ghosts On The Somme. They began researching and editing the manuscript, leaving the story untouched but setting to work on finding out how much of this account was actually autobiographical. “It was decided to use Joseph’s semi-fictionalized account to both tell the story of The Platoon and to demonstrate how the sources used to find out the facts behind the fiction and to complete the biographical and military details could be accessed by any family historian,” Andy explained. 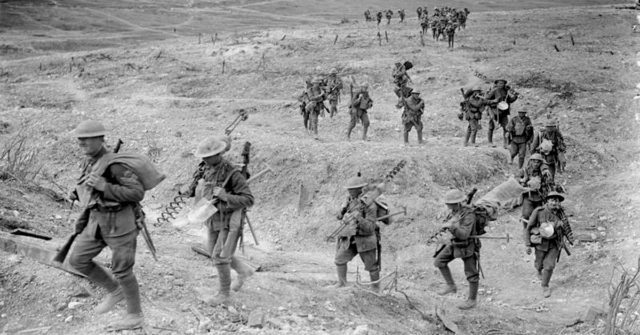 Troops “going over the top” at the start of the Battle of the Somme in 1916. The 30-page introductory chapter helps us understand how this type of research is carried out, and the lengths to which Andy and Steve went to find the truth in words written almost 100 years ago. That’s all Andy said. He wouldn’t tell me the name of the director, but knowing who he often works with leads me to think it’s no small-time filmmaker. 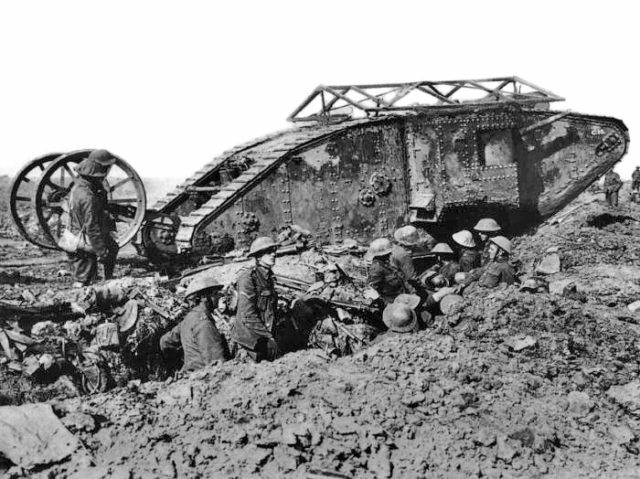 The Battle of the Somme saw the first use of tanks. This one is a British Mark I tank near Thiepval, France on September 25, 1916. I’d like to think that with a resurgence of popularity in this book, and by hearing people in online communities rave about it once again, the pressure might be on for this anonymous director to get this WWI Band Of Brothers-style story made. Andy Robertshaw is currently working as military advisor on two films, as well as on a Somme battlefield archaeological project with the Hawthorn Ridge Crater Association, which you can follow on Twitter @HawthornRidgeCA.